Bake My Day! 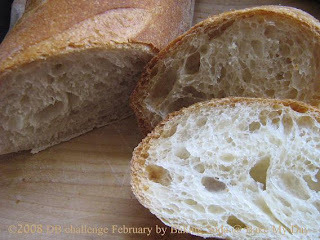 : Daring Bakers February: To read or to bake? 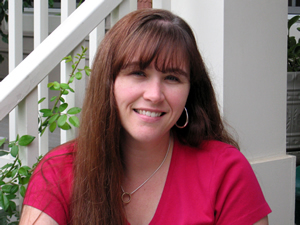 Daring Bakers February: To read or to bake? My guess is that our lovely, lively, witty and knowledgeable bread baking hostesses this month; Sara of I Like to Cook and Mary of The Sour Dough must have had loads of fun in posing the challenge (to keep with bread terms: separating the chaff from the wheat girls?). 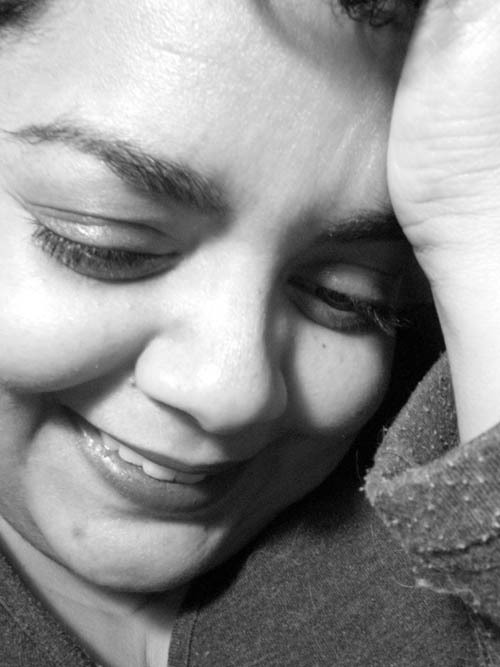 They composed a work of prose which read as a short novel, foreseeing and answering (!) each and every hitch that could be encountered during the Baking of the Challenge. Truth or Dare my dear fellow Daring Bakers and look what glorious breads came from that! First they chose an unquestionable source: Mrs Julia Child, (for my European readers: Julia who? Have to confess here, before I was swept up in baking sessions across the ocean I never heard of her before, and even now, now I know how much she is revered on the other side of the big pond I still can't help smile by seeing her -or hearing her voice- but she really seems to be a kind of icon for baking). Our hostesses then picked a product that almost everyone loves; french bread, and made themselves available for any questions asked and even offered an online bake-a-thon to help out live when needed. Dedication people, sheer dedication!! For sure, I too, was a bit apprehensive when I saw the length of the recipe. Breaking it down in manageable bites; it turned out to be a straight forward dough with three lengthy rises. As much as I love to work with a preferment -either biga or poolish- in this case that was a definite no-no; not allowed! I pouted a little, went ahead with it anyway and discovered that the three rises made up for that big time. Another frown was reserved for the amount of salt, I'd like to stick with the 2% rule (amount of salt being 2% of the amount of flour). Hmmm. Did as I was told, no complaints here, although I'd like to bake again trying 1.1/2 tsp salt. I loved the 72% liquid in this one!! Watch Julia Child and Danielle Forestier in action (uh.. it's Danielle in action really) showing you how to make this exact recipe. As I said the recipe itself is not very lengthy, for the complete instructions and recipe visit The Sourdough. If you like a reminder how to handle the dough it's shown in pics here. Stir yeast in 75 gr water, and let liquefy completely. Add the mixture to the rest of the ingredients in your mixing bowl. Using the dough hook of your stand mixer start mixing on a low speed for about 6 minutes. Empty bowl on a bare counter top and proceed kneading by using the method as shown in the videos or my pics. 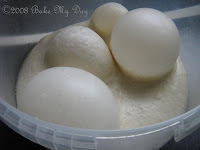 You'll see that after a while (might take anywhere from 5-10 minutes) your dough changes, as the air gets trapped, the dough gets more body, is easier to work with. You know when you're done if the dough is springy, elastic and feels somehow light to the touch. 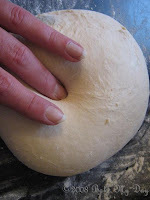 (It will still be sticky) Try pressing a finger in the dough, it should leave a dent which will slowly fill again. First proofing: 3-4 hours in a lightly greased straight sided bowl, covered with plastic bag or shower cap. It will at least triple and show large bubbles and even some huge blisters on top! Deflate by turning out on a lightly floured surface, pressing all gas out of the dough. Fold like you would fold a letter and again let it rise. Second proofing: in same bucket, somewhere around 2 hours, again till it's full of air and the top shows a dome shape. Maybe it won't quite triple but it sure will double! 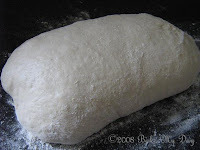 Shaping: Cut dough with a bench scraper to desired pieces, and form the pieces of dough into whatever shape you prefer. For information on how to shape please check the instructions at Mary's / Sara's. Third and final rise: 1.1/2 to 2 hours. Shaped loaves rest covered on baking sheet or couche. Baking: about 25 minutes; oven preheated to 230 C, slice the loaves prior to baking, moisten the surface by brushing cold water on or spray. To simulate steam in the oven you can throw some ice cubes on the bottom of your oven. I like to place a baking sheet on the bottom of the oven during preheating and fill that with boiling water just after I put the loaves in. Verdict: Rave reviews! Very happy kids, a doting Husband and a cheery sneaky Baking who tried snatching an entire loaf for herself.... Thanks so much gals, I loved loved doing this! ohh, your bread is so lovely looking. Absolutely perfect! Well done! Next time you need to take Ilva and I with you to the disco too. What a beautiful job on the bread...love those huge gas bubbles! Your loaves look beautiful, the color is perfect! And those bubbles are awesome. They made me smile! well i can see that the disco did you good-beautiful bread! Those were some impressive air bubbles, and absolutely perfect looking bread. I did expect as much from you, of course! Your bread looks delicious! The inside has those lovely holes and your bubbles in the dough look great! Gorgeous breads. Really really nice. Karen, these look awesome. Nice and rustic. Great job on this. I am feeling quite exhilarated now that I have mastered a baguette! Your pictures are beautiful and your bread looks so authentic. Great job. It was a fun challenge this month! LOVE the write up! Definitely gassy bread -- yours is gorgeous. I thought about putting a pan of water in the oven, but did the spray instead. Never thought of ice cubes in the bottom. How cool is that? Literally! Showroom perfect! And wow...those were huge blisters! Can I hire you to come and bake bread for my family? Exactly like in Parisian bakeries, beautiful, mouthwatering and surely delectable. BRAVO! they are gorgeous! How did you get those big bubbles while it rose?! It all turned out great for you. Simply gorgeous loaves of yummy bread, Karen!! But I must say this.. had I looked into my bowl of rising dough and saw those mammoth alien looking bubbles, I would have ran for the hills! ha! I especially love your sesame-crusted bread. Now why didn't I think of that? I had the same apprehensions about the recipe as you did, but I loved it too (though I did think it a bit salty in the end). Your baguettes look so good and crusty! Wat zien die broden er (weer) goed uit zeg! Ik had van Breadchick het recept (ingekort was het nog 10! A4tjes) al uitgeprint... Bij jou ziet dat er een stuk korter uit!! Ga het toch ook eens uitproberen binnenkort. Your bread looks great! 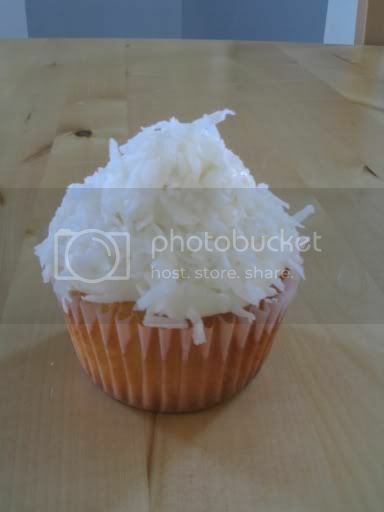 It coould be in a bakery window. Nice job with the challenge! Your loaves turned out so beautifully, all dark crisp and rustic. Simply lovely. a real perfect bake! you did so well, mine looks a bit burnt! lol! Beautiful job on this challenge!! Your interior crumb structure is beautiful! That's the part I always struggle with. I love that you covered some of your bread with sesame. YUM! Beautiful color on those loaves! 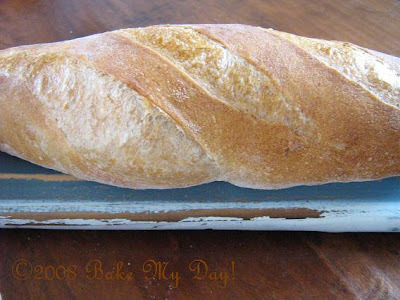 Such a great post and of course your bread is beautiful! Those bubbles on the rise are amazing. Did you use fresh or dried yeast? your loaves look perfect, inside and out! Thanks for leaving such good advice on my blog. I love your photos, especially the one with the bubbles. Just as I knew you would, you made fabulous bread! Great post! Your bread looks wonderful. It looks so authentic. Wow! Marvelous loaves of bread. I am going crazy looking at of them! Would love to smear some butter or cheese on them and gobble a loaf down. Oh my gosh, your bread looks great! 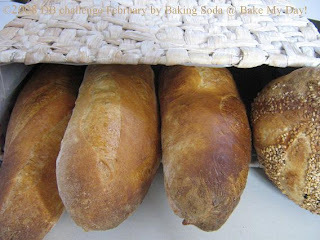 Beautiful loaves and a great write-up. Super job on the French bread! Great job with your loaves. The crumb is perfect. Wowzers your bread turned out Fantastic!! !